I haven't been posting that much because, well, life got busy! Our schedule feels extra packed now that Scott started coaching baseball. He's now teaching and balancing football and baseball, and I feel like I haven't seen him these last two weeks! Scratch that, I did see him last night (from the bleachers) as I watched his baseball team add a notch to the win column. 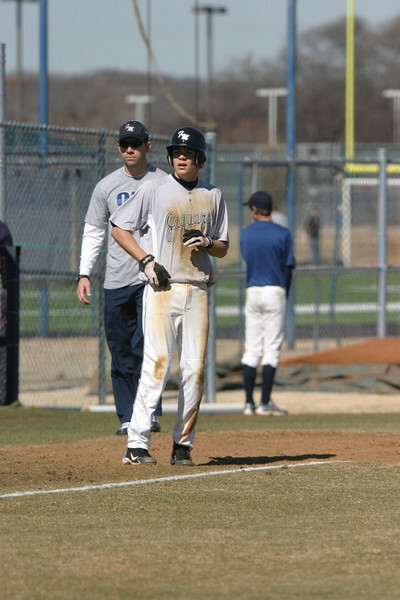 Who is that handsome third base coach?! This was just a scrimmage so he didn't have to wear the uniform, but it's pretty funny to see him rocking white baseball pants. They are definitely out of his fashion comfort zone! "Hey baseball, can I have my handyman back so that we can work on our house?... What? Three more months of this? And then he'll be busy because spring football starts? 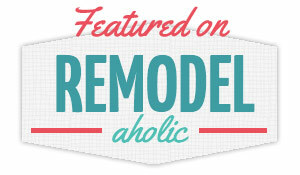 But when are we going to renovate our guest bathroom and finish all of the flooring in the house?!"